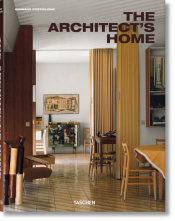 Unlike most architecture encyclopedias, which tend to concentrate more on buildings and floor plans than their designers, this tome puts the architects in the spotlight, profiling individuals so that readers can get a clear overview of their bodies of work. 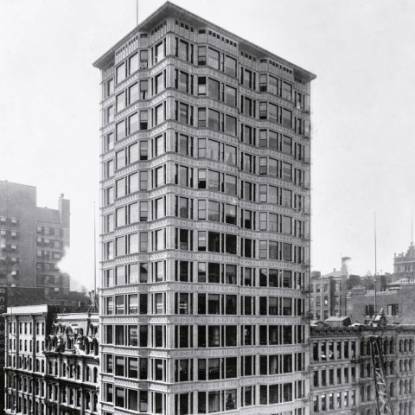 Each architect’s entry features a portrait, quote, and short biography as well as a description of important works, historical context, and general approach; illustrations include numerous drawings, photographs, and floor plans. 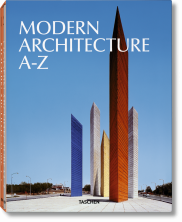 The book’s A to Z entries cover not only architects but also groups, movements, and styles from the 18th to the 21st centuries. With 600 entries and 5,200 illustrations, The A–Z of Modern Architecture is a comprehensive resource that no architecture professional, fan, or student should be without. 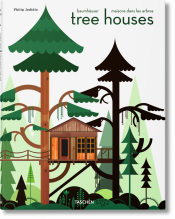 "Does size matter? 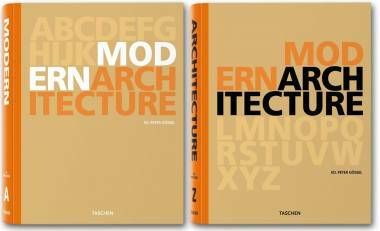 Clearly it does for TASCHEN whose monumental two volume Modern Architecture A-Z has just appeared housed in a handsome stout slipcase. Beautifully crafted and printed, the book provides a splendid record of architecture from the nineteenth century to the present day...If you have a pocket big enough to afford it, or a table strong enough to support it, or a know how to screw four legs into its stout slipcase, then this heavyweight is not to be missed, in any language."